Casuarina, reclaimed Mahogony, acrylic and milk paints. 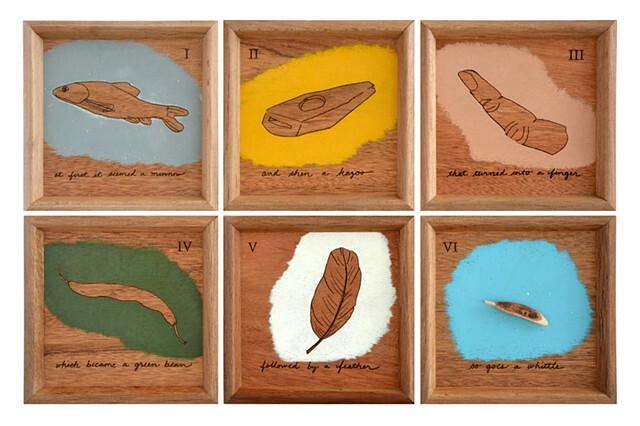 The piece consists of six trays, all of which have laser engraved and painted text and image, and the sixth of which contains a whittled piece of wood. The text and imagery trace the process of engaging with whittling without a pre-determined end-point. The experience of whittling as an encounter of dynamically responding to the wood is akin to seeing pictures in the clouds as they continuously morph. Ultimately, what a whittle becomes is as open ended as a blue sky, which is where it rests in the final tray. 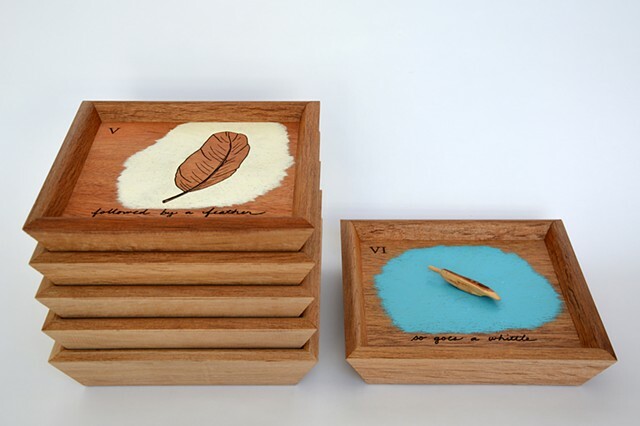 The tray format allows the viewer to “turn each page” and experience the process as it unfolded.